Townsville residents will be seeing double today, with only one of 3 PBS A-Double Road Trains being launched as part of leading supply chain solutions provider, NSS’ transportation assets. The new PBS A-Double Road Trains will be used primarily to handle SMC zinc between the refinery and the Port. They have state-of-the-art on-board weighing systems, GPS tracking and over 100 fail-safe design elements. The road trains can provide a 100% productivity gain and at the same time reduce truck traffic, fuel emissions and improve road safety. 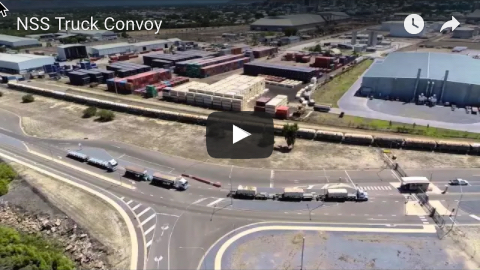 “The PBS A-Double Road Trains are the ultimate in innovative technology and will be instrumental in improving supply chain efficiencies,” said Mr Todd Emmert, General Manager of NSS. By carrying 40 per cent more cargo per trip, this will reduce truck trips between SMC and the Port by 1300 trips per annum each way. 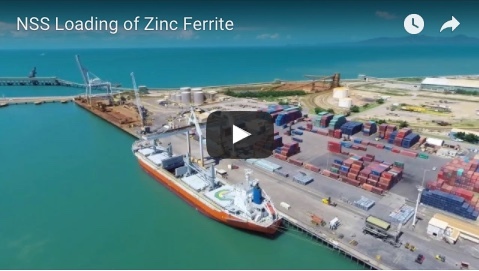 NSS has been selected as the most environmentally friendly prime movers (ERO 4 Standard) on the market to tow these trailers that is a big coupe for the Townsville headquartered company. “NSS is committed to invest further in the latest in technologies to improve supply chain efficiencies in regional Queensland,” said Emmert. The Haulmark A-Double combination operates only on approved PBS Level 2B routes which is for vehicles up to 30 metres long providing the operator with a combination of 12.2m trailers and a potential gross combination mass of 85 tonnes, which translate to over a 60 tonne payload. For more information, please contact Mellissah Smith on 0412 994 994 or Todd Emmert on 07 4722 4800.